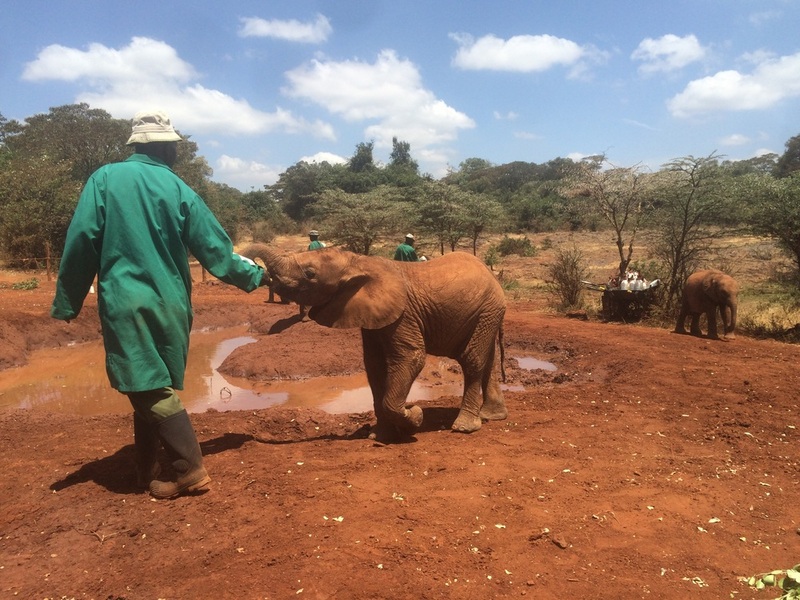 From 11:00-12:00 everyday, visitors can watch orphaned baby elephants come and be bottle-fed milk, drink water with its trunk and cool down in a mud bath. While you’re watching the elephants, a staff member talks about the Wildlife Trust, introduces each elephant and explains how the elephant became orphaned. 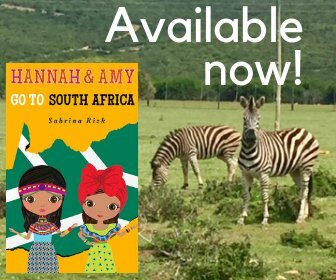 Hannah’s adopted elephant became orphaned because one elephant in the herd killed a human, so the Kenya Wildlife Service had to put the elephant down. 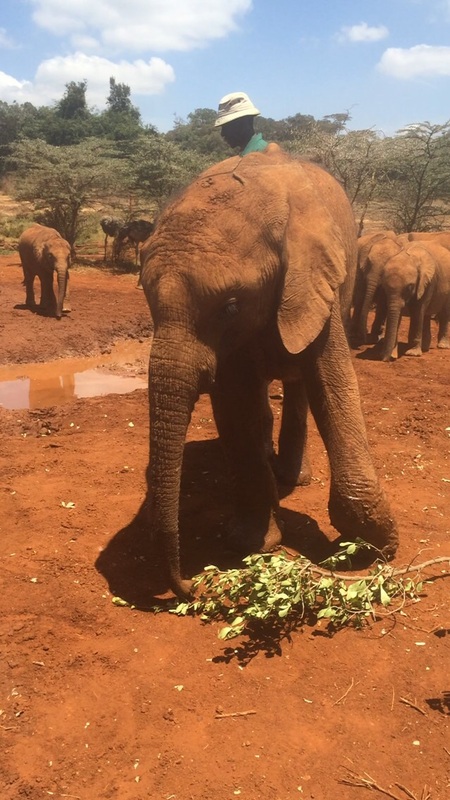 When the Service shot the elephant, the others got scared and stampeded away leaving little Mbegu behind. Many others fell down a well or their mother’s were killed for their ivory. The trust also hand rears baby rhino orphans, and some other wildlife. The day we were there, two rescued ostriches came out with the elephants. 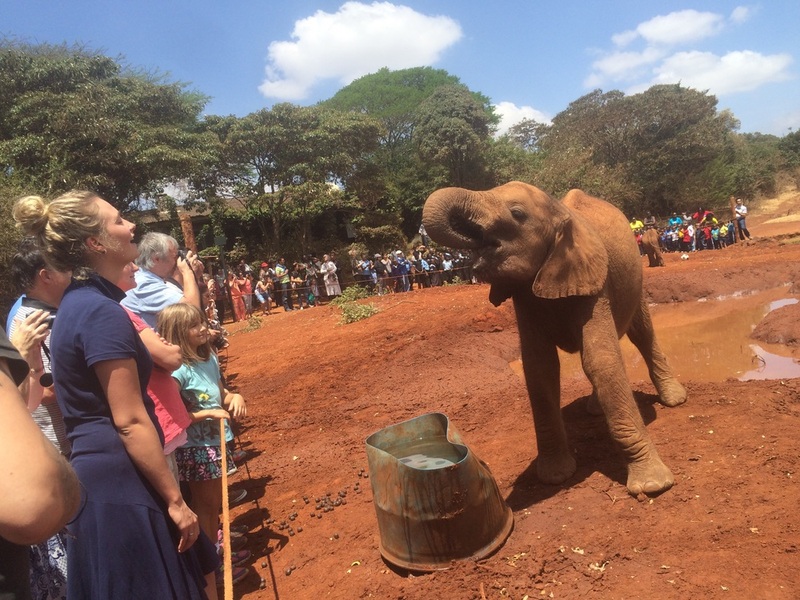 The elephants are raised at the site in Nairobi until age 3. 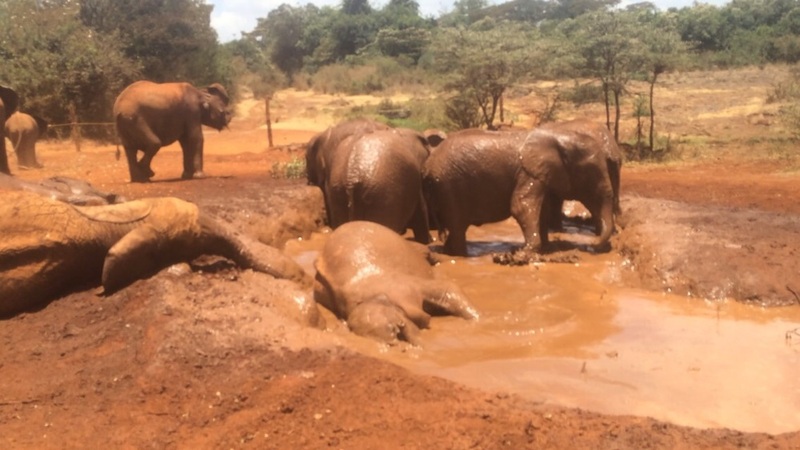 They are then transferred to a site in Tsavo East National Park, where over a period of another three years they are integrated into a herd of wild elephants. The girls were standing right in front of a water bucket, so got to touch and get splashed by a lot of baby elephants. Amy, especially, came away particularly muddy. It is really quite a sight to see, and quite amazing work that is being done there. The Giraffe Center was a disappointment, after seeing 29 baby elephants, though Amy got a kick out of feeding the giraffes. Yay…mud bath time! Yummy milk! I like human baby milk best. This is how I use my trunk to drink water! I like playing with this branch! Muddy Amy! 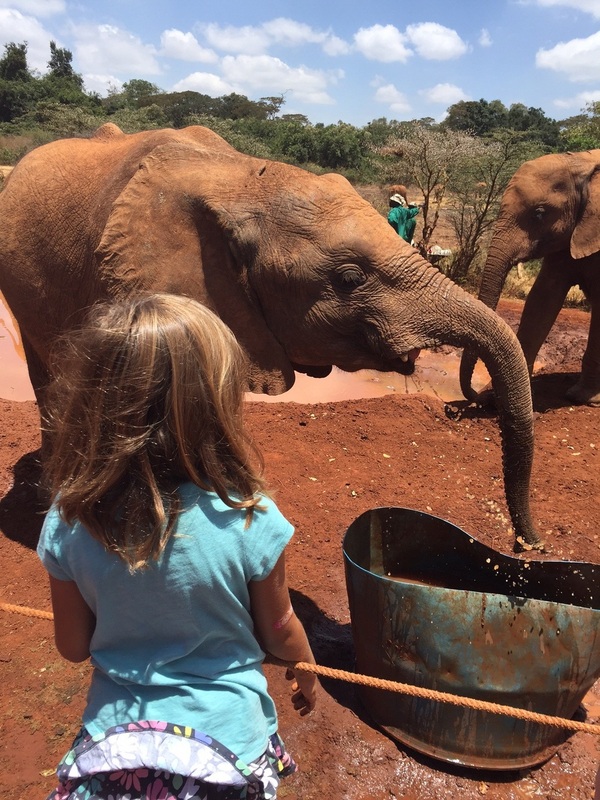 I don’t know how much was from the elephants & how much was from Amy playing in the dirt! Hannah front and center for all the action! What a treat to have this close encounter with so many baby elephants! Were you able to capture pictures of Hannah & Amy being splashed? 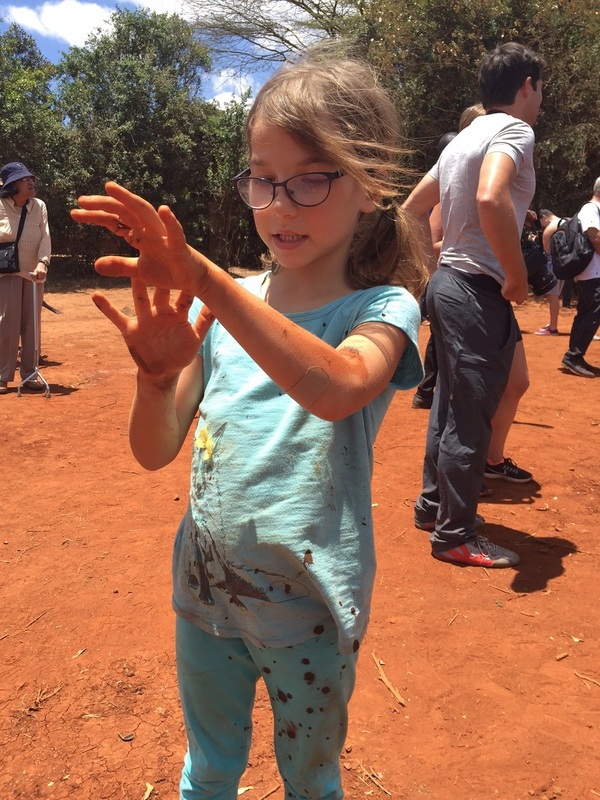 I am sure this muddy experience will be a treasured memory for many years to come! 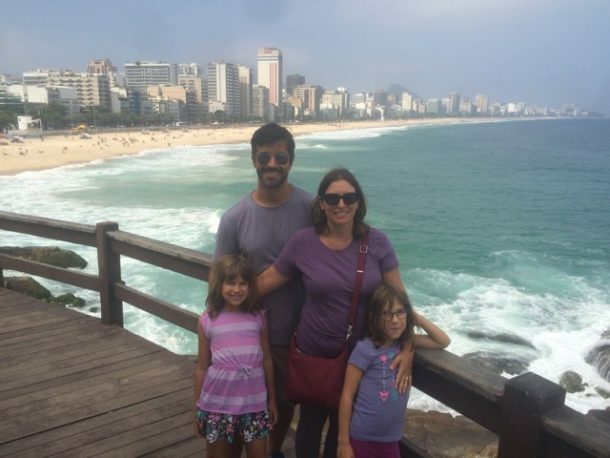 What an amazing experience all of you are having.